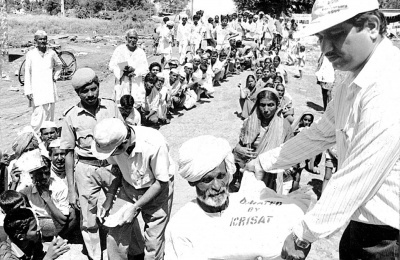 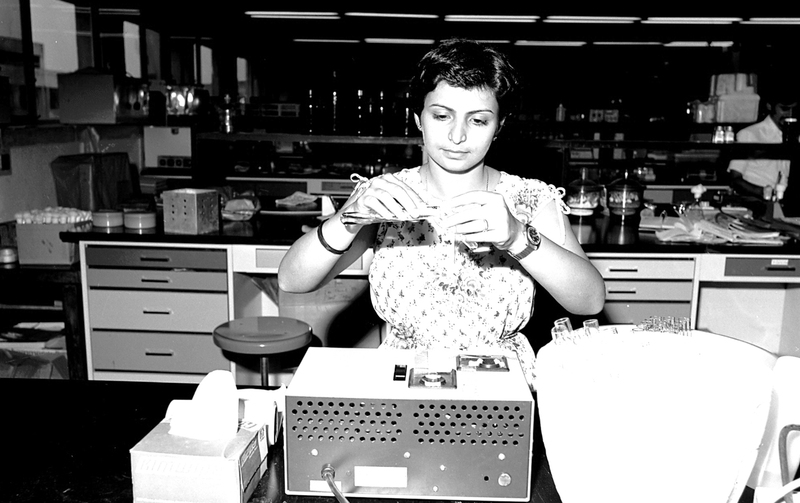 On ICRISAT’s 45th anniversary, we take you on a journey of milestones that shaped the science we do today. 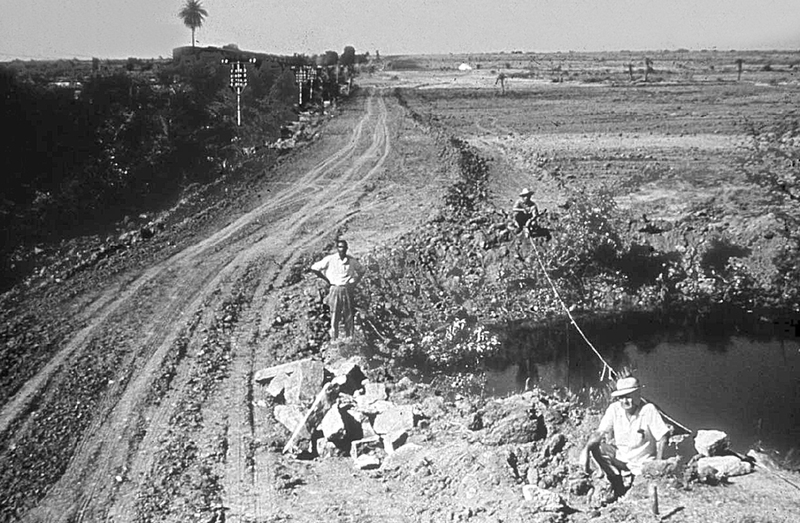 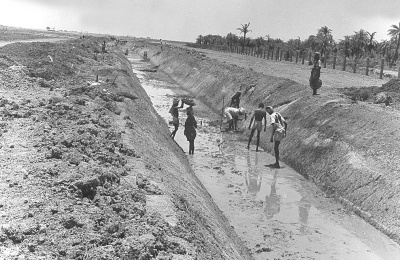 Caption: Construction of the main drain. 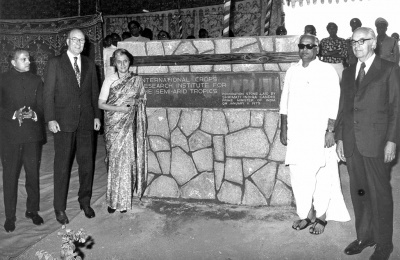 Caption: The Foundation stone laid by Prime Minister Indira Gandhi. 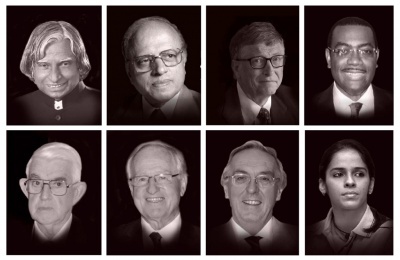 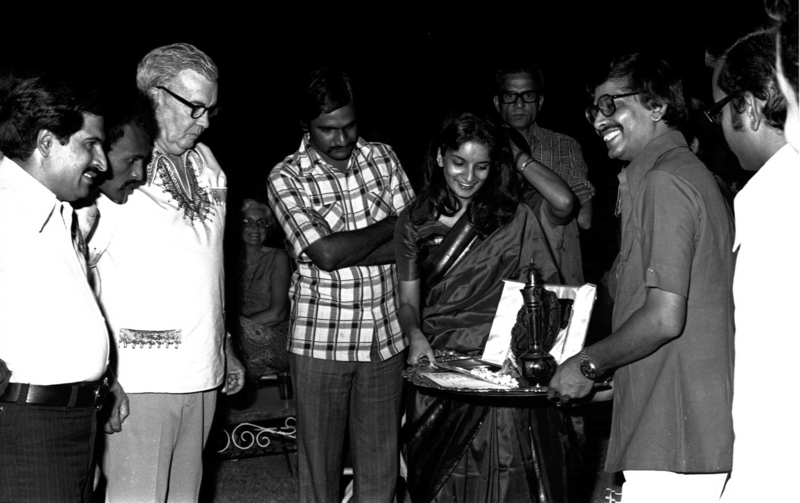 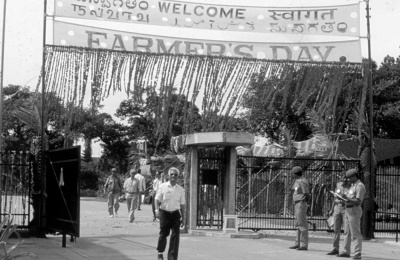 Others present were MS Swaminathan, Fred Bentley, AP Chief Minister J Vengal Rao and Ralph Cummings. 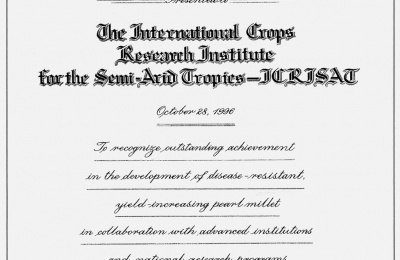 Caption: ICRISAT’s first visual identity. 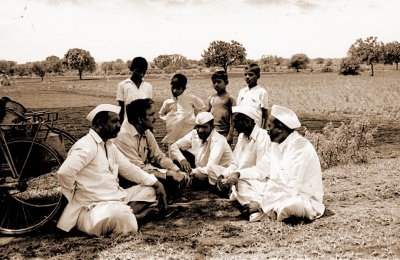 Caption: Village investigators gathering information from villagers. 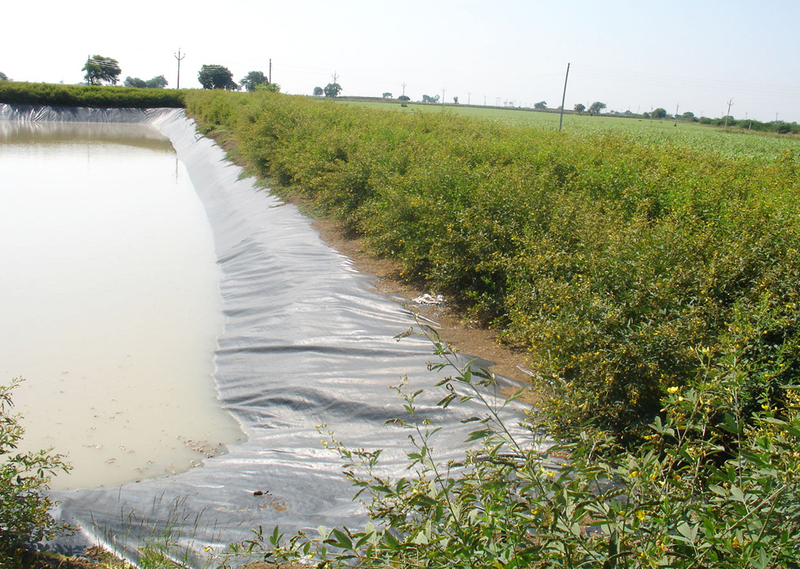 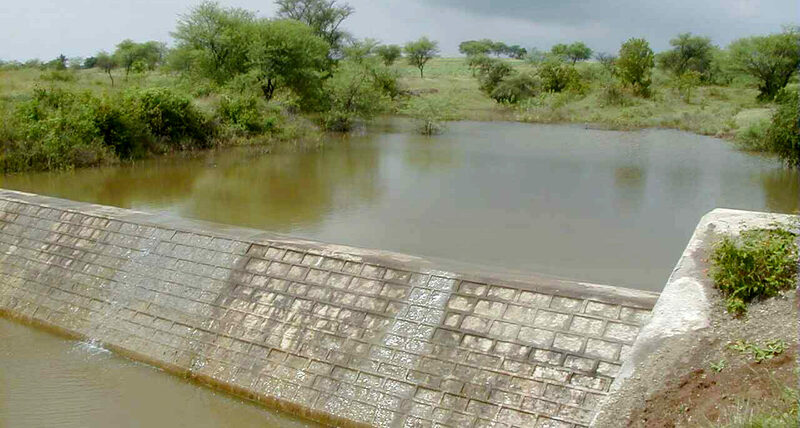 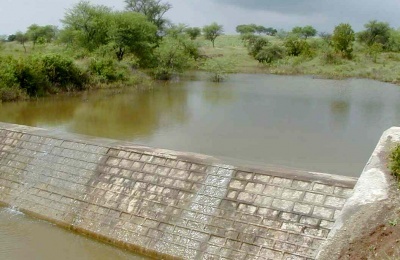 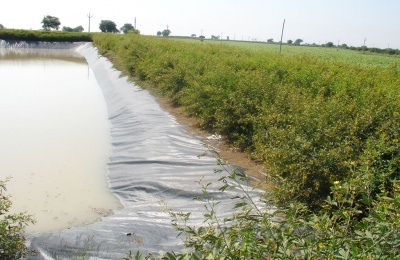 Caption: A masonry check dam at Kothapally watershed, Telangana state, India. 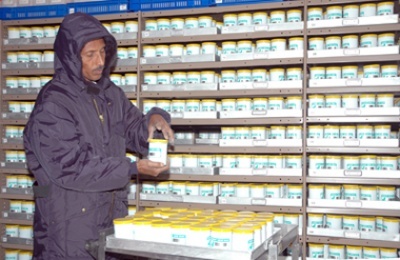 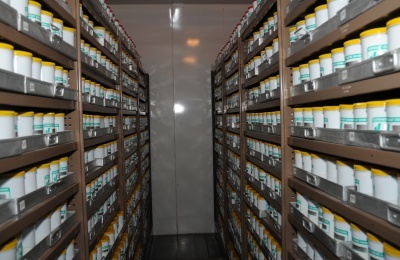 Caption: The genebank was started with a short-term storage facility. 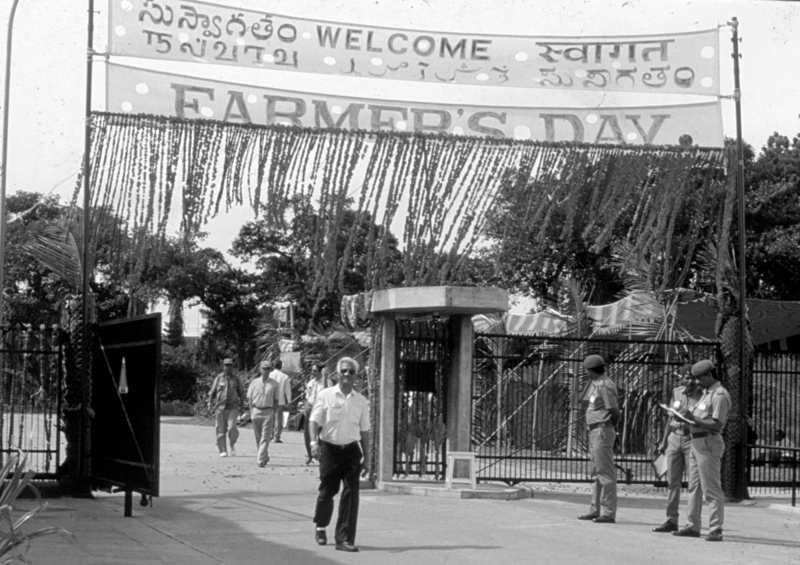 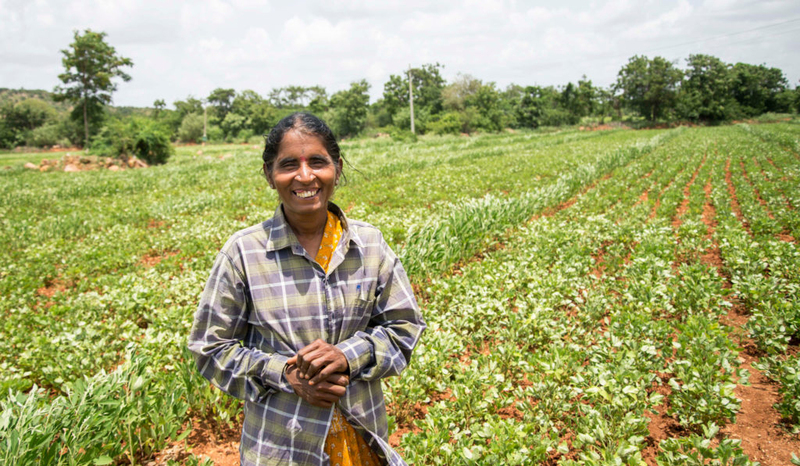 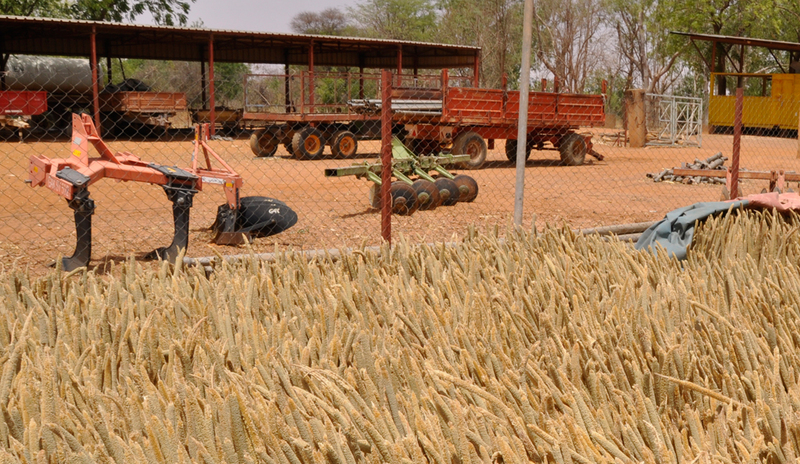 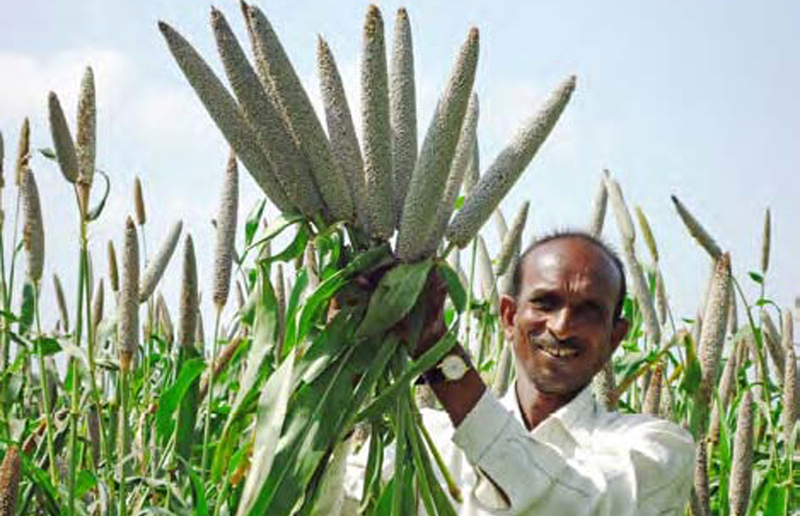 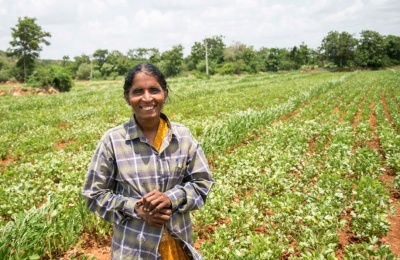 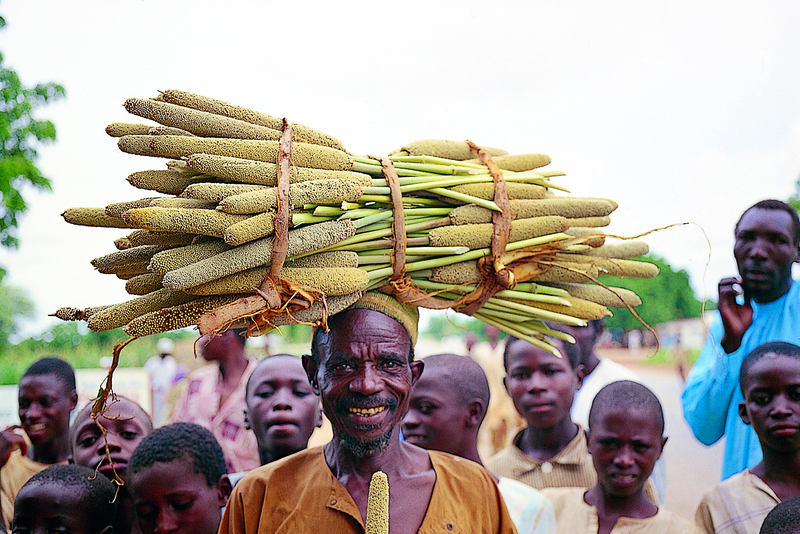 Caption: ICRISAT throws its gates open on the first Farmer’s Day. 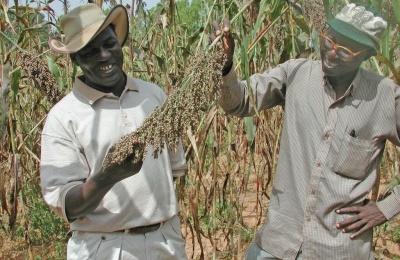 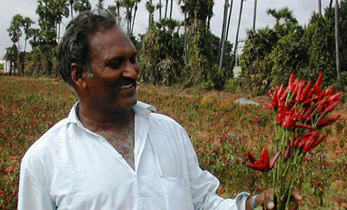 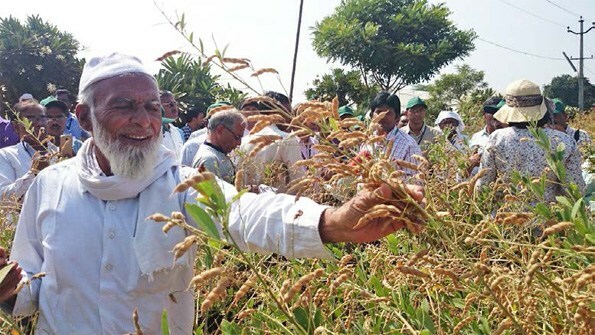 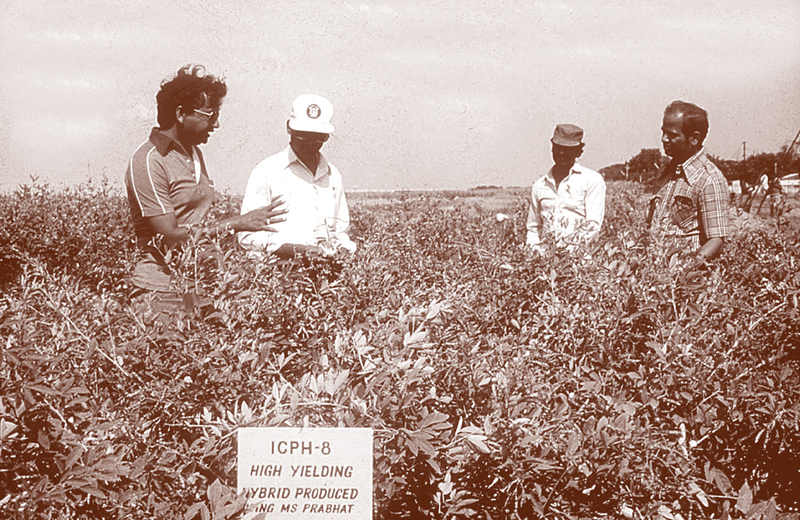 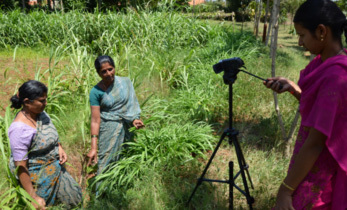 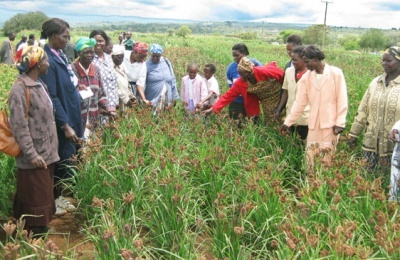 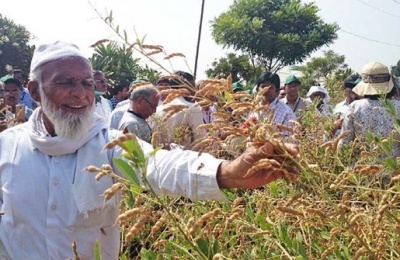 Caption: ICRISAT scientist C T Hash (in hat) with scientists, identifying an off-type plant in a field of HHB 67 –Improved. 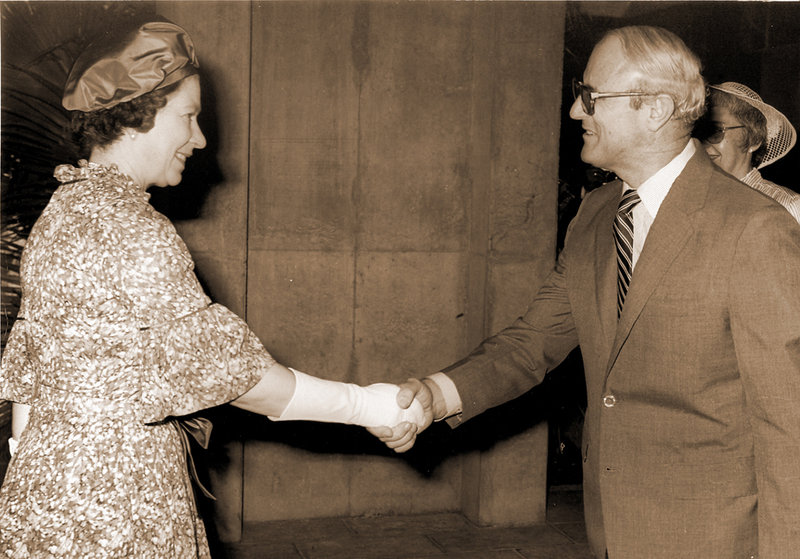 Caption: Director General Leslie D Swindale welcomes Queen Elizabeth II. 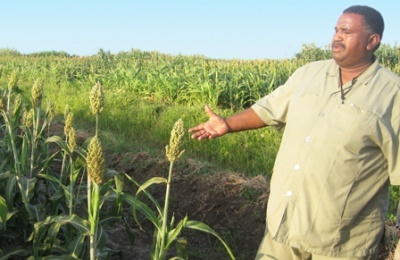 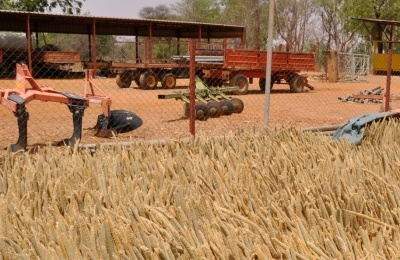 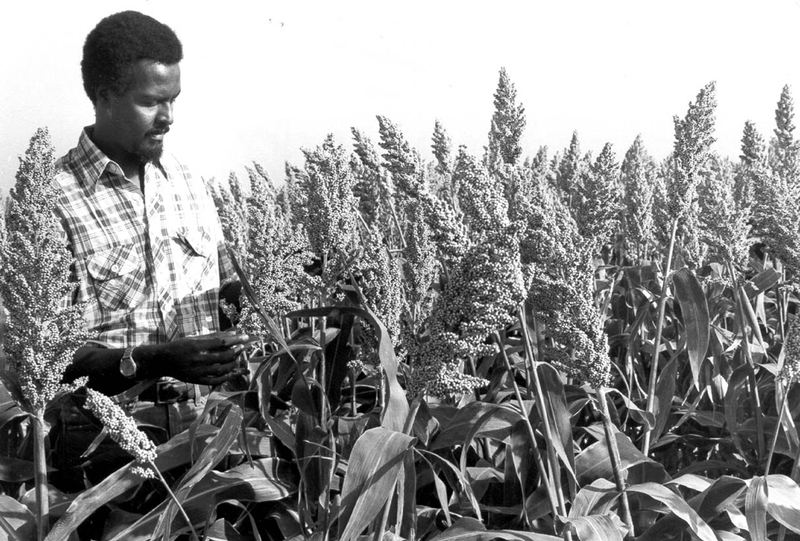 Caption: Gebisa Ejeta with sorghum variety Hageen Dura. 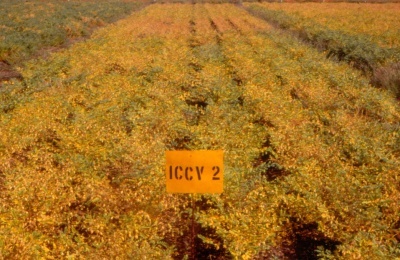 Caption: ICCV 2: The climate-smart variety for tropical environments. Caption: ICRISAT scientist KB Saxena (extreme left) worked with partners to develop ICPH 8. 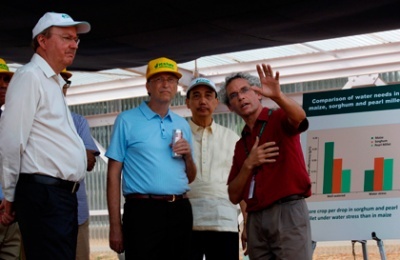 Caption: Microdoses of inorganic fertilizer for macro benefits. 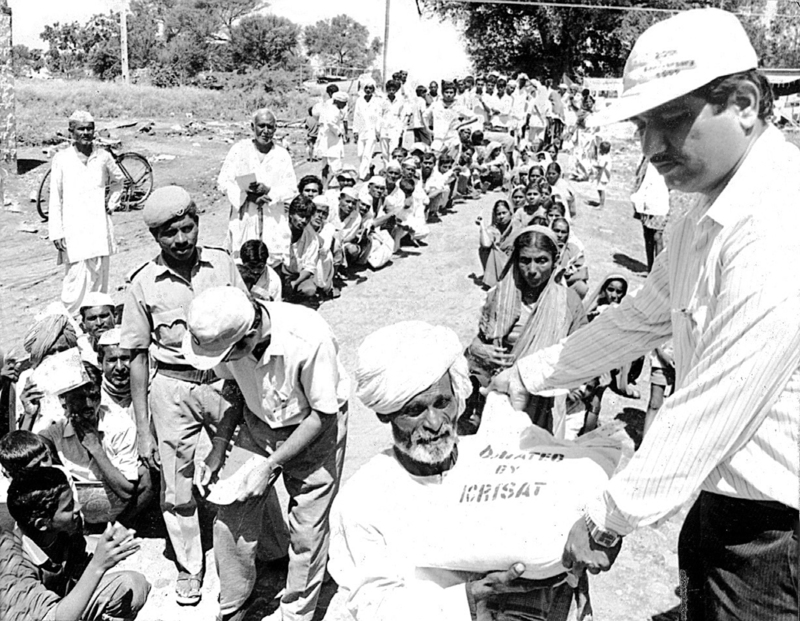 Caption: Relief material being distributed in Latur, Maharashtra, following a massive earthquake. 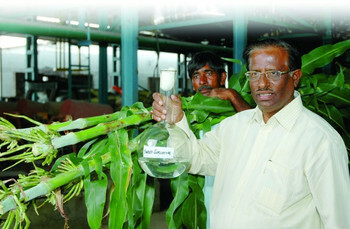 Caption: The award conferred on ICRISAT for pearl millet improvement. 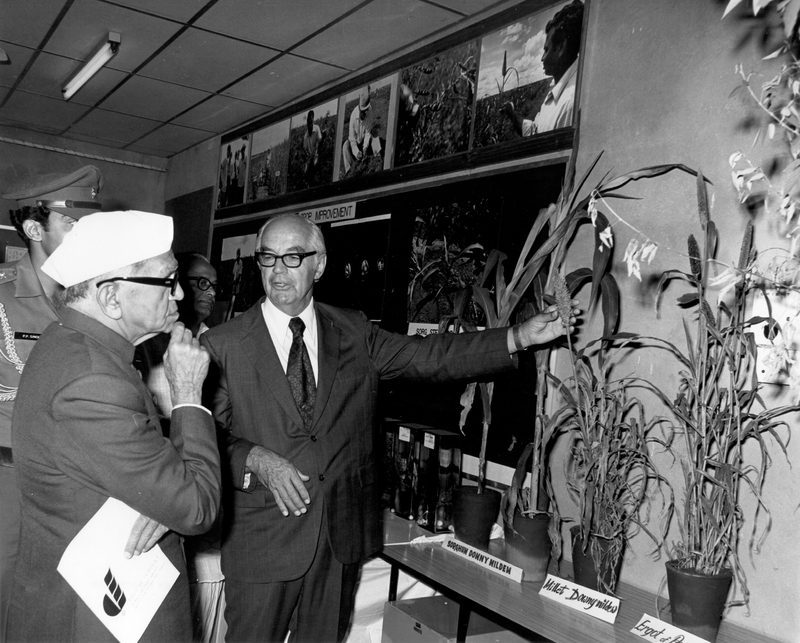 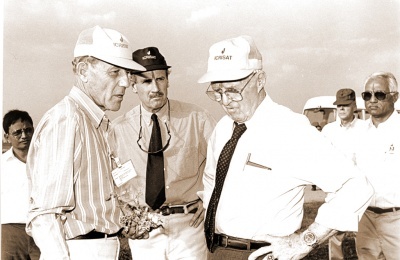 Caption: Nobel Laureate Norman Borlaug on a tour of the ICRISAT campus. 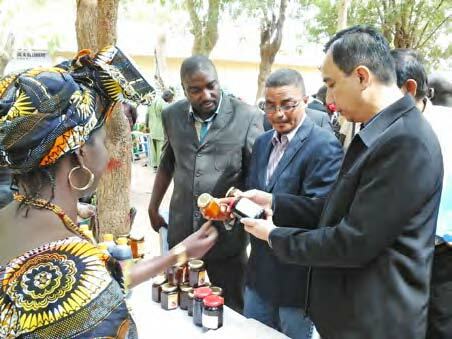 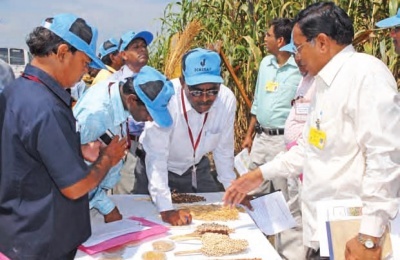 Caption: Seed company officials check out seeds of interest. 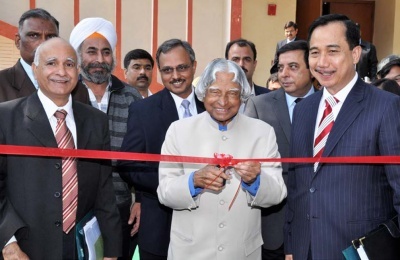 Caption: President of India Dr APJ Abdul Kalam inaugurating the greenhouse containment facility of the PTTC. 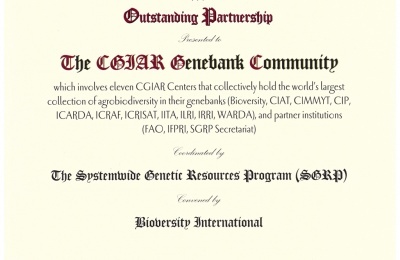 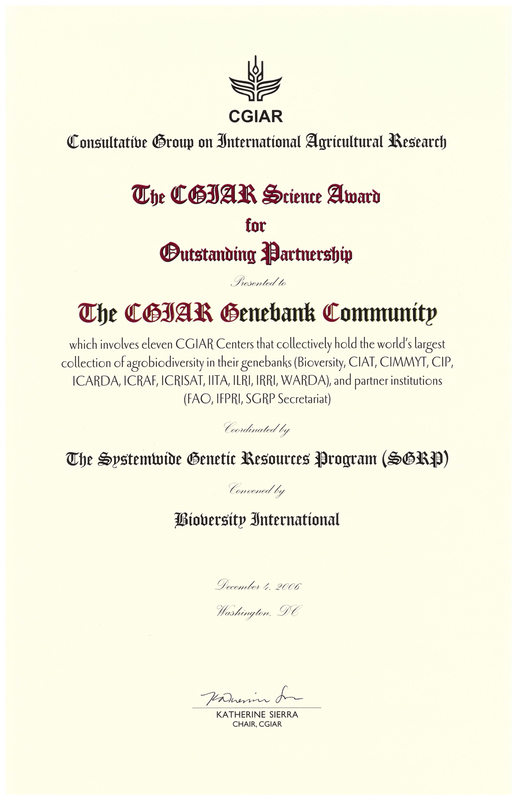 Caption: ICRISAT’s genebank was one of the recipients of the Partnership award. 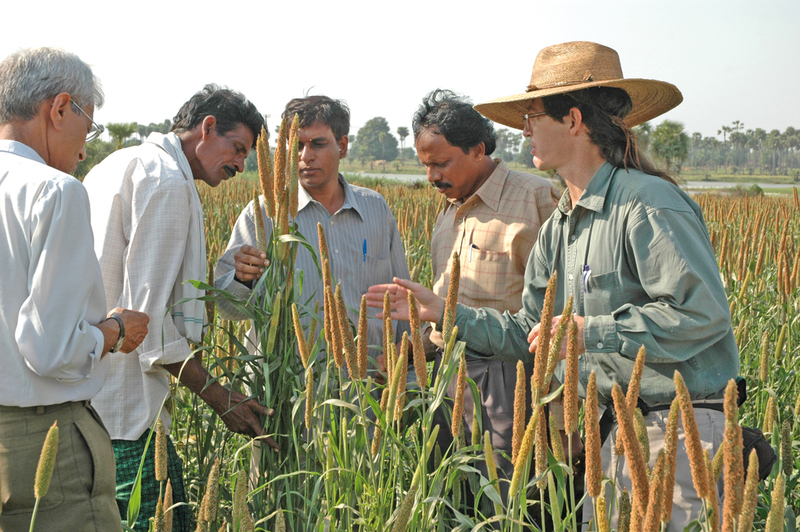 Caption: Promoting greater synergy between biotechnology, plant breeding, agronomy, agroecosystems and social sciences. 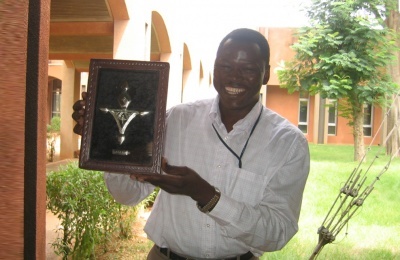 Caption: Ramadjita Tabo with his Nobel Peace Prize. Caption: AR Palaniswamy of Rusni Distilleries displaying ethanol extracted from sweet sorghum. 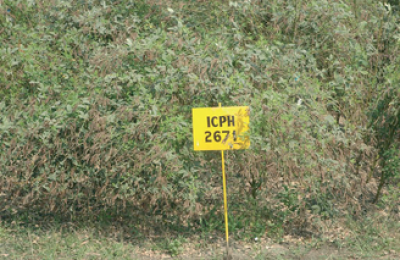 Caption: ICPH 2671, the world's first cytoplasmic male sterility-based pigeonpea hybrid. 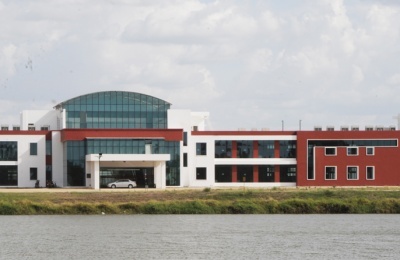 Caption: The hub of pipeline solutions to develop transgenic products. 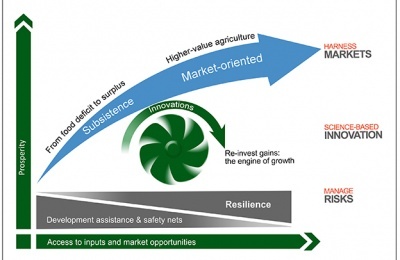 Caption: The way to transit from subsistence to market-oriented agriculture. 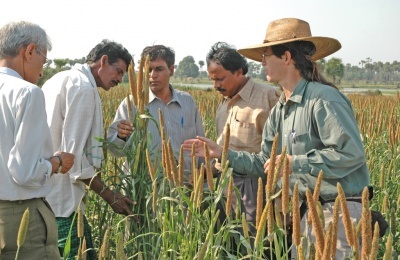 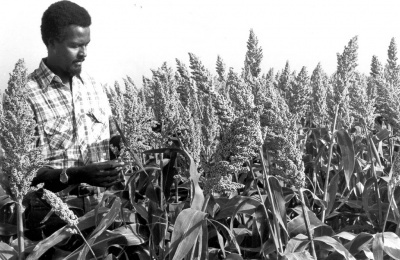 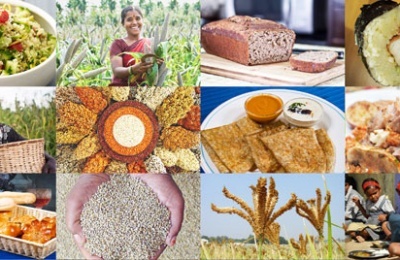 Caption: Revolutionizing crop breeding to meet food security challenges. 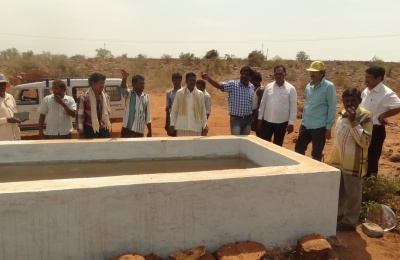 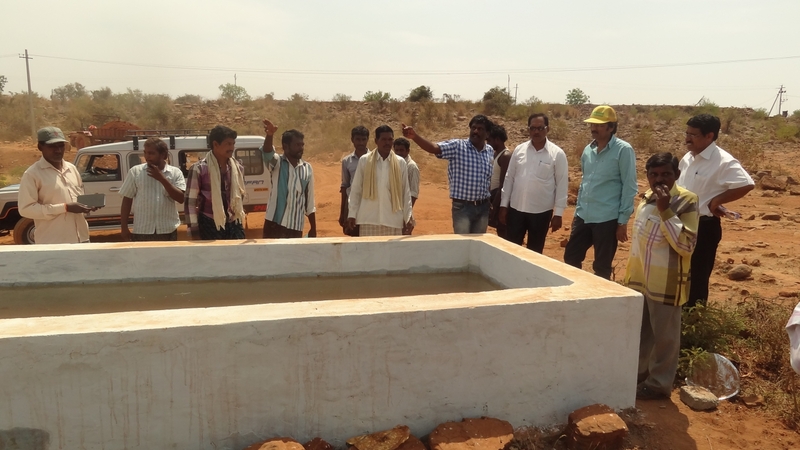 Caption: Partnering with PowerGrid Corporation of India Ltd in promoting watershed management interventions. 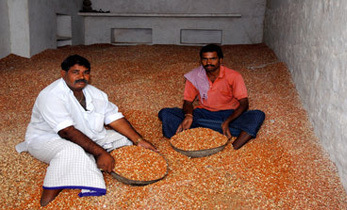 Caption: Preserving seed is key to crop diversity. 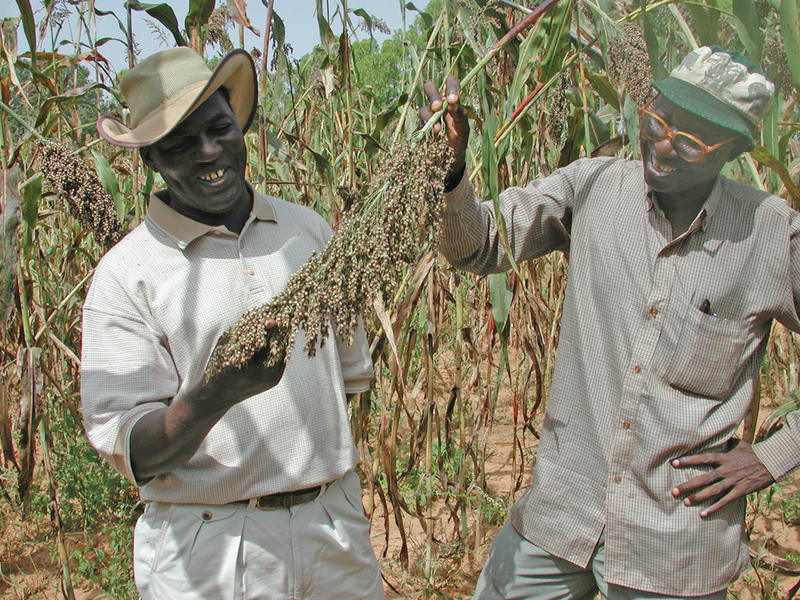 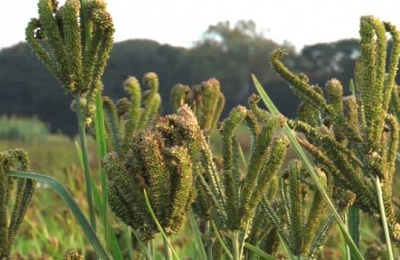 Caption: One of the Striga-resistant varieties in the field. 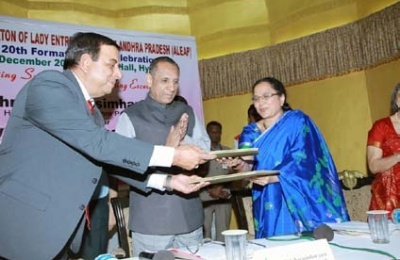 Caption: ALEAP President Mrs Rama Devi and KK Sharma exchange the MoA as Governor of Andhra Pradesh Honorable ESL Narasimhan looks on. 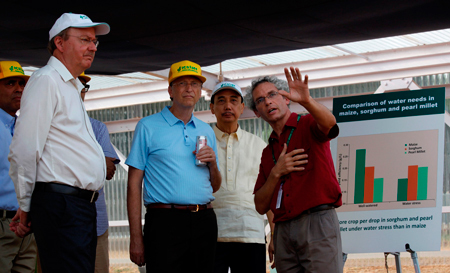 Caption: Mr Bill Gates at ICRISAT’s lysimeter facility for phenotyping. 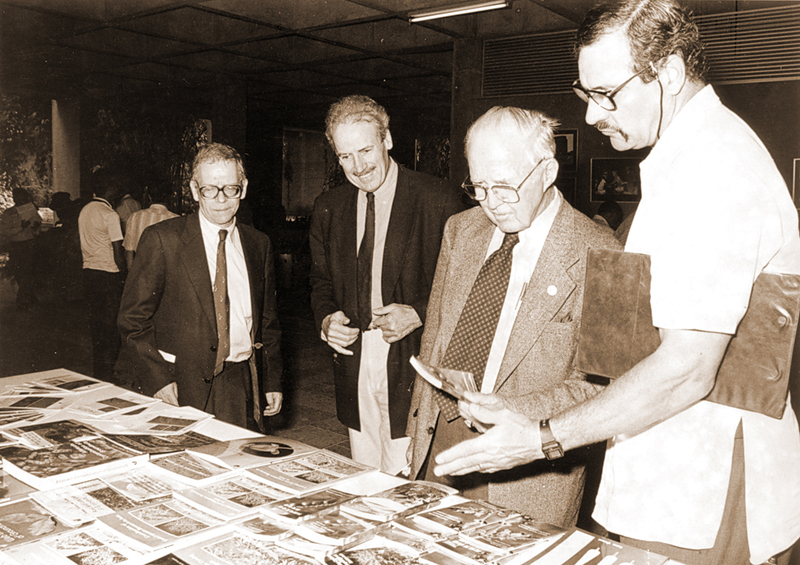 Others in the photo, L-R: Drs Prem Warrior, David Hoisington, William Dar, and Vincent Vadez. 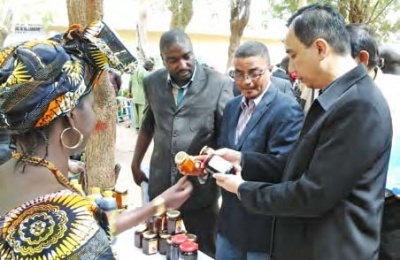 Caption: Agribusiness products at the stalls set up by women cooperative groups. 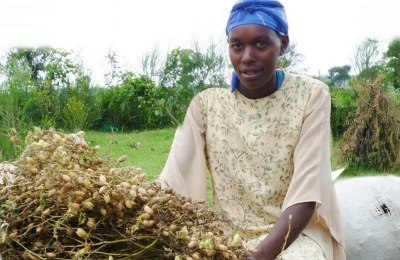 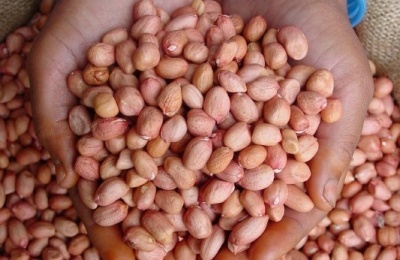 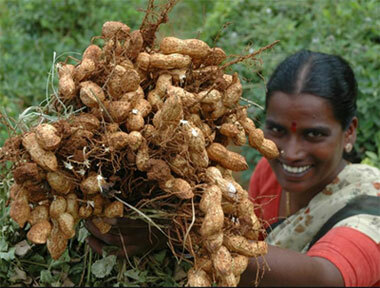 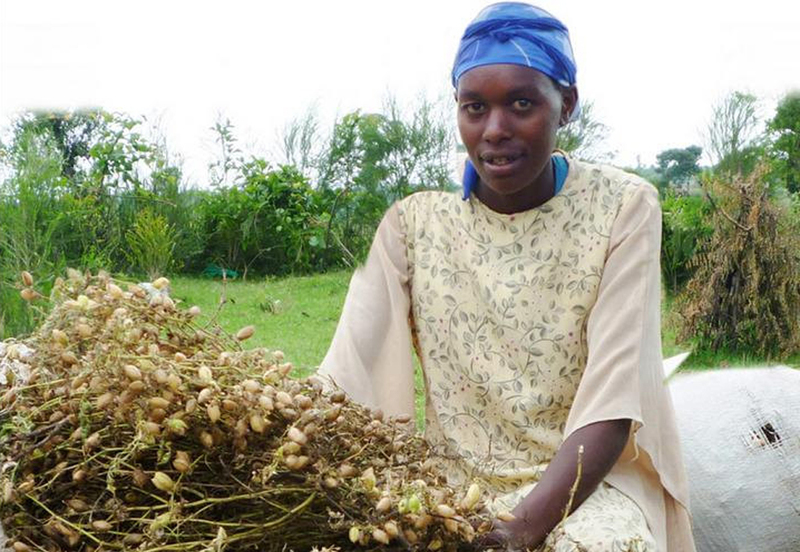 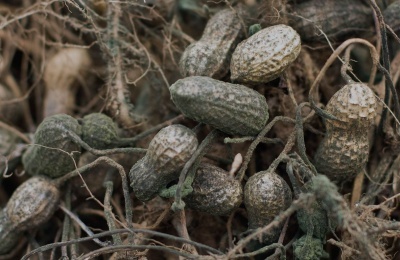 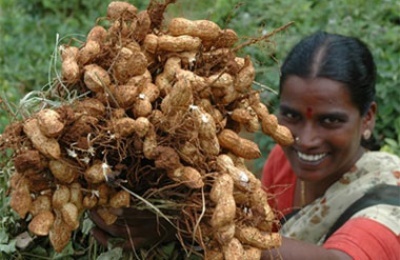 Caption: Groundnuts/peanuts are an important crop both commercially and nutritionally. 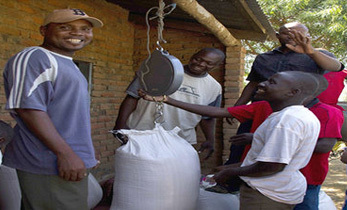 Caption: A smart food that is critical to nutrition in women and babies. 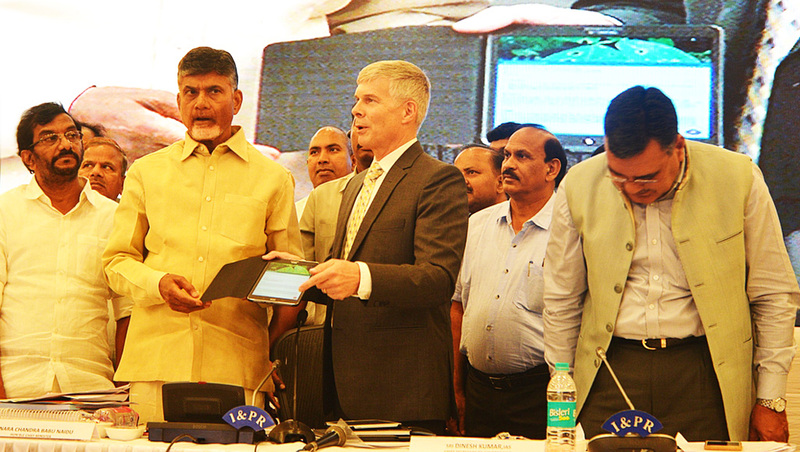 Caption: Dr David Bergvinson exchanging the MoU with Mr Pocharam Srinivas Reddy, Minister for Agriculture, Telangana State. 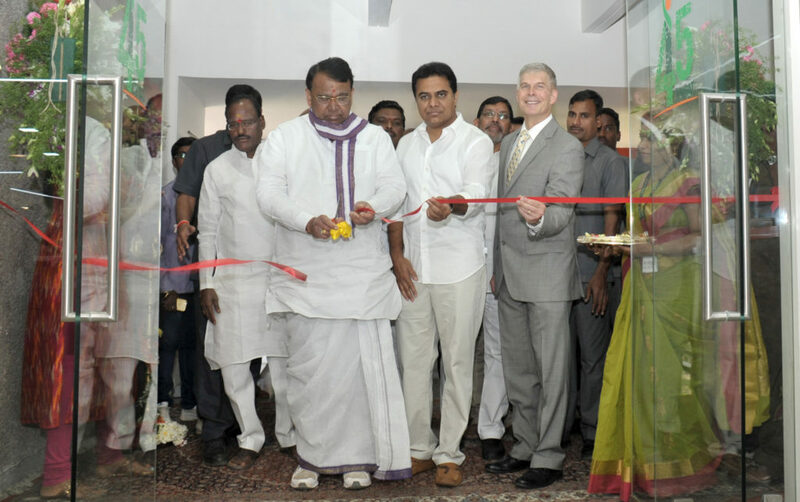 Also seen are Mr KT Rama Rao, Minister for Information Technology & Panchayat Raj, Mr C Parthasarathi, Secretary and Agri Production Commissioner and others. 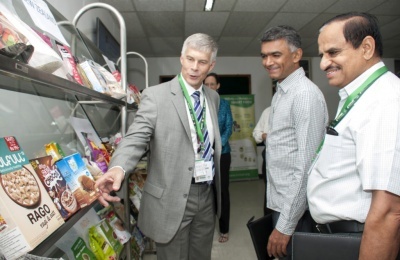 Caption: Dr Bergvinson demonstrating millet products to Mr Byre Gowda. 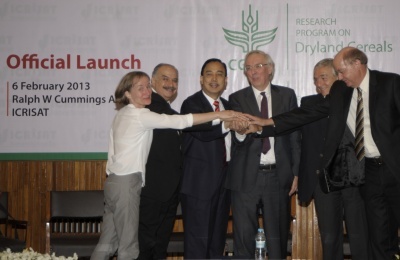 Also seen is Dr Wani. 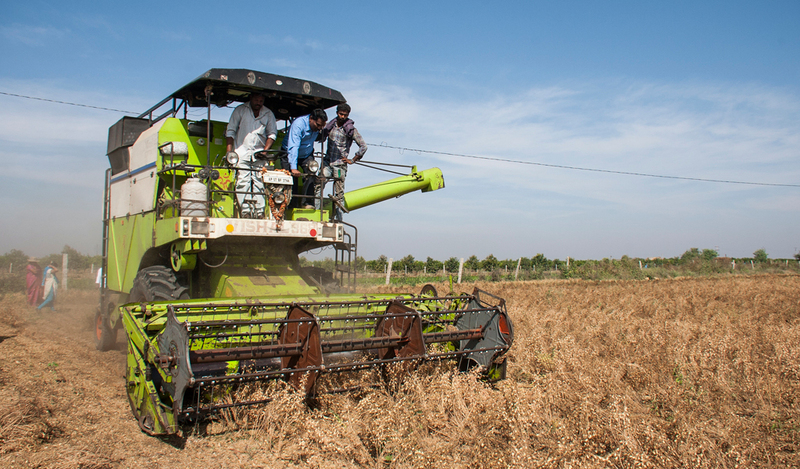 Caption: A combine harvester harvesting NBeG 47, the first machine harvestable variety released in Andhra Pradesh. 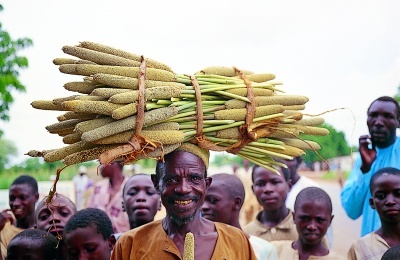 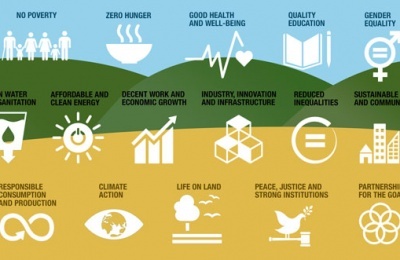 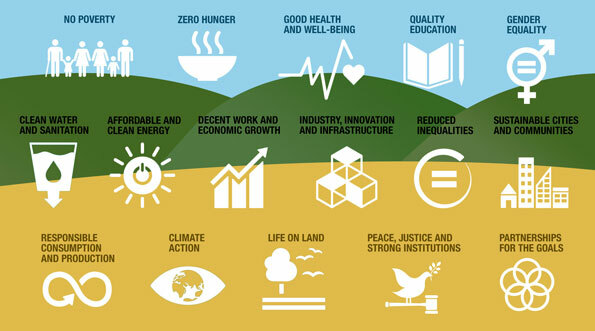 Caption: Smart foods are good for you, the planet and the smallholder farmer. 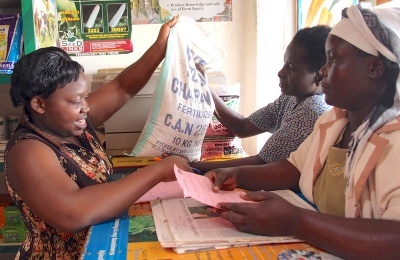 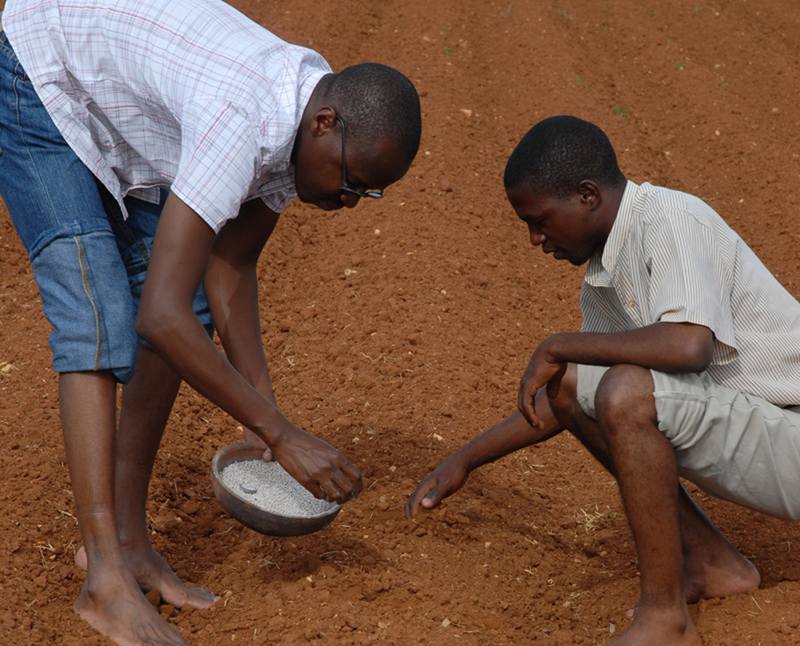 Caption: Timely information is critical to sowing for smallholder farmers. 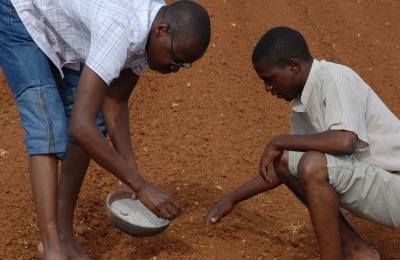 Innovative digital technology in the service of smallholder farmers. 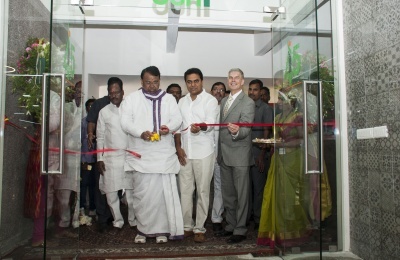 Caption: PS Reddy, Telangana Agriculture Minister and KT Rama Rao, Telangana IT Minister inaugurating the ihub. 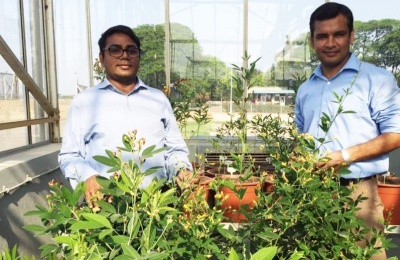 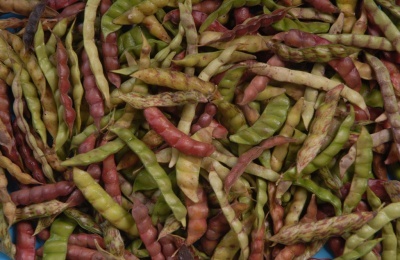 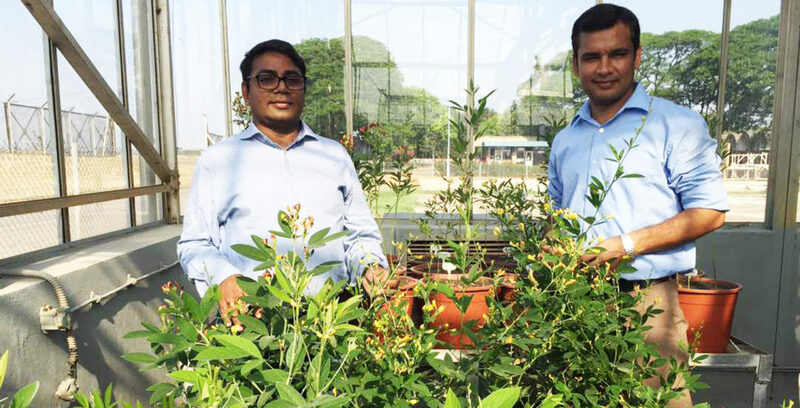 Breakthrough pigeonpea genome re-sequencing will lead to superior varieties. 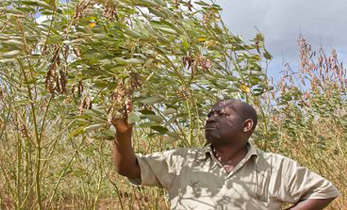 Caption: ICRISAT scientists inspect pigeonpea accessions for agronomically important traits and disease resistance. 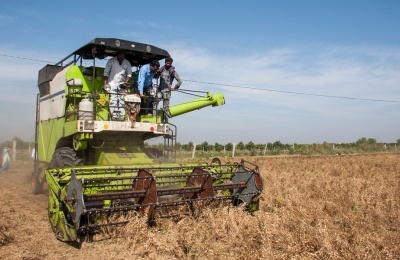 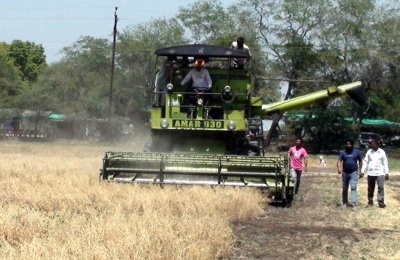 Caption: Demonstration on machine harvesting of chickpea variety Phule Vikram at a farmer’s field in Maharashtra. 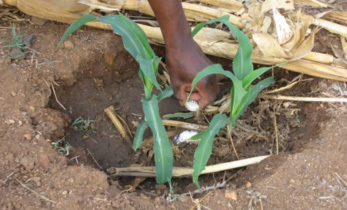 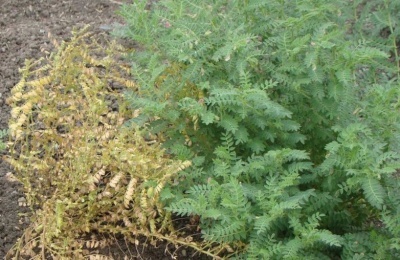 For early recognition and tailor-made treatment plans to overcome crop damage. 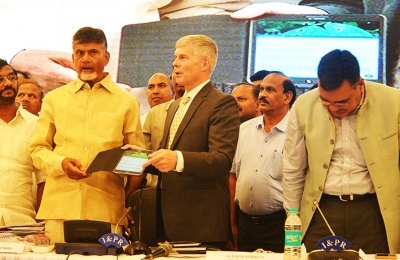 Caption: Andhra Pradesh Chief Minister N Chandrababu Naidu launches Plantix app at Vijayawada.